Copyright 2018 Classic Velocity Vehicle Log. All Rights Reserved. 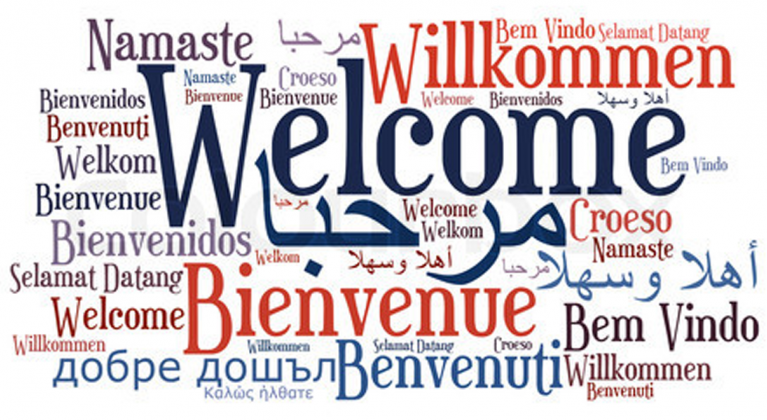 Welcome to Motocron (formerly CVVL) Help. We have arranged topics so that you can easily search the blog, and have included a Tag Cloud as well. We will continue to add to this Help Blog over time, so that you can continue to come here as we add new features and functionality. Motocron Help Search Page will allow you to find a specific topic or keyword. Motocron lets you define vehicles and designate them as active or inactive. You can use a more traditional definition of vehicle, or you could include your unicycle. The app does not really care. It then uses the concept of "Events" to record activity for your vehicles. An Event is really anything that constitutes activity. Renewing your registration is an event, washing the bike is an event, and an engine swap on your muscle car is an event. It is entirely up to you as to how detailed (or not) you want to be. More detailed info is present in other help posts, but if you are just starting out with Motocron, go to the setup post next. Create Vehicles -- Create as many Vehicles as you want, and pay only for the tier that you need. See the Vehicles post for more help on this step. You must create at least one vehicle in order to begin creating events (log entries). Create Resources -- Create as many (or as few) Resources as you want. Resources are optional, so you do not have to create any in order to begin creating events (log entries). See the Resources post for more help on this step. Create Custom Event Types -- This applies to Gold Level only. The application comes loaded with a variety of Event Types, including "Other". However, you may want to create custom event types of your own, in order to really customize the application and enhance reporting. Create as many Custom Event Types as you want. See the Vehicles post and the Event Types post for more help on this step. Once you have completed these steps, you are ready to begin creating Events (Log Entries). Sometimes, the help pages just don’t get you the answer you need. We understand. All of our customers have the ability to request technical support by using the Feedback button at the bottom of the main menu. Select the Technical Support option. If none of the categories meet your needs, you can always select "Other". You also have the ability to attach an image such as a screenshot to help us better understand and diagnose your issue. 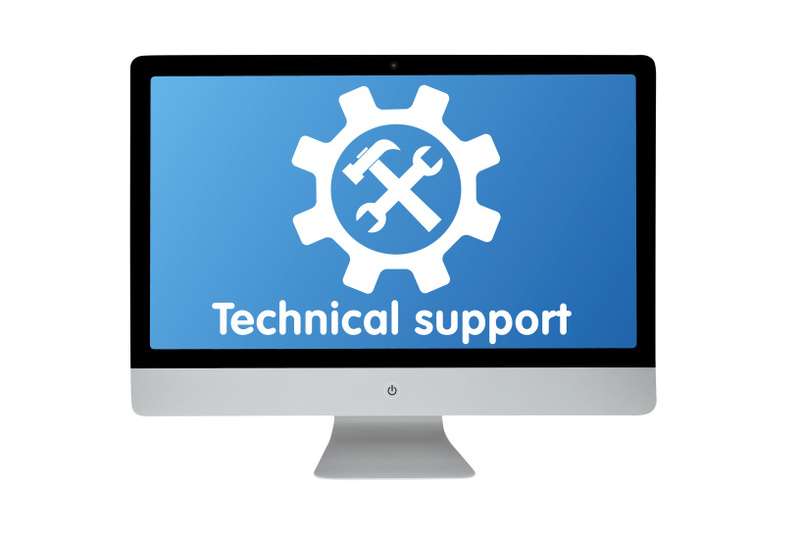 Technical Support requests gets routed to the appropriate member(s) of the small but powerful Motocron team where we try to ensure that you get a timely response. Of course, we give greater priority to those issues which may be interfering with your use of the application. If for some reason you cannot get to the form, send an email to team@motocron.com or use the Contact Us page on the website. Be sure to include your name and how to contact you. By the way, many technical issues are specific to the combination of device, browser, and network being used at the time. It is always helpful if you can see if the issue applies when you are on a laptop or desktop using a browser on a decent network. It will help us get to the heart of the matter that much sooner. Oh, and another thing. We will not ask for, and cannot lookup, your password. The most that we can do is reset the account so that you can re-establish a password. See the Security and Credentials section for more about that. Like many of us who have more than one vehicle to keep track of, I had some folders with papers in them and even a spreadsheet at one point, but as the vehicle count grows, or as time passes, it is increasingly difficult to answer questions by rifling through thick folders. And sometimes, the answer is in a folder that you have since archived or given to the new owner. What to do ? Well, Motocron to the rescue.....It is an app that keeps track of all of the activities and costs (if you choose to track them) over time associated with all of your vehicles. It will even let you go back in time and paint a complete picture of vehicles you already own. It adds greater value by providing a series of reports on activity, and costs, to help you easily answer the types of questions posed above. Reports can be filtered by vehicle, viewed as a calendar, printed, etc. There are 3 subscription levels, so that you can tailor access according to your needs. Lastly it lets you do this wherever and whenever you want on whatever device you want. 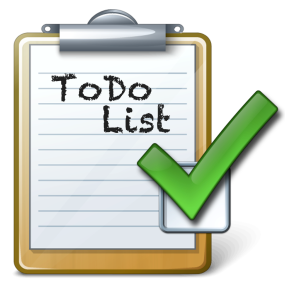 Like other functions within Motocron, the To Do list allows you to translate your yellow pad, or your whiteboard, or the thoughts in your head, into an organized format that can never be lost or smudged with grease! Q. How should I use the Motocron ToDo Event Type ? A. Simple, create an event for every upcoming ToDo item and use the “ToDo” event type. For example create an event for an oil change 3 months from now. Instead of choosing “Fluids” as the natural event type, choose “ToDo”. Next use the Todo List Report to look at all of the upcoming items on all of your vehicles. When the oil change actually happens, update the event with the details, and change the event type to “Fluids”. It now disappears from the Todo list report and takes its’ rightful place as a completed event. Of course, you can easily see how this would apply to an upcoming Concours, or a registration renewal. You can also see how overdue ToDo items would begin to appear if you did not attend to them. If you think that is too much work, you can create a single ToDo item for each vehicle and use it to maintain a list of items. You lose the upcoming calendar and timeline benefits for the individual items. Less effort, less reward. You make the call. Lastly, you can play around with different report formats such as Timeline or Kanban, to see the ToDo list in a few different ways. This is a powerful tool for those of us that have a forgetful (ie: normal) human brain. All of our customers have the ability to provide feedback to us using the button at the bottom of the main menu. There are several different types of feedback available from a subscription question, to product enhancement requests, to sending us some kudos. If none of the categories meet your needs, you can always select "Other". Feedback gets routed to the appropriate members of the small but powerful Motocron team where we try to ensure that you get a timely response. Of course, we give greater priority to those issues which may be interfering with your use of the application. If for some reason you cannot get to the form, send an email to team@motocron.com or use the Contact Us page on the website. Be sure to include your name and how to contact you. Gold customers also have the ability to participate in Developers Club sessions, which provide direct input to the team. At the Gold level, customers become members of the Motocron developers club. This gives you a very direct voice into new features and functions within the application. 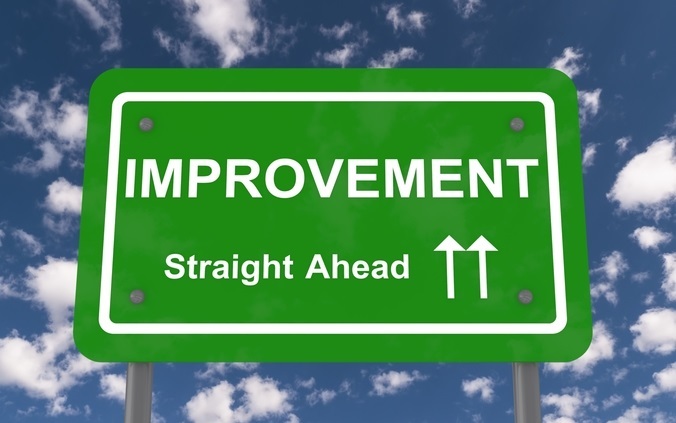 In addition to being able to submit feedback via the web, developers club members get invited to an online meeting where they can learn about planned changes, provide direct feedback to the development team, suggest new features, and ultimately vote on the priority of upcoming changes. These are not geeky technical meetings, they are an opportunity to ensure that this application remains For Enthusiasts, By Enthusiasts. We look forward to hearing your voice at the next meeting. Do you have more than 30 vehicles ? Contact us for custom pricing. Once payment is complete, you will receive an email with account information within 2-24 hours, depending on how fast the electrons are flowing. The Motocron app can be accessed using any browser on a mobile device. In addition, there is an app available for IOS and Android that will configure Motocron for a more pleasant experience on tablets, phones, and other mobile devices. Simply download the Zoho Customer Portal app from the relevant app store. At login, you will be prompted for the portal url. You will then be prompted for your username (the email address that you used to signup), and your password. This should then take you to the Motocron Main Menu (Home). One caveat when using the app is that some features may not be fully functional. This is often due to some combination of IOS or Android version, and the way your device handles the embedded browser functions. If in doubt, try accessing Motocron directly via a browser. You should have a good experience using Chrome, Safari, Internet Explorer, or Edge. The app is great for quick access to record an event, lookup information, or to show off your Stella vehicle management with friends. However, if you really want to slice and dice your data, a browser is probably a better experience. The Motocron Team is constantly at work improving the product and periodically releases new features and functionality. But don't worry, you will not be subject to constant upgrades, and you should never lose data. If you have Gold membership, you are also invited to participate in specific development sessions where you have a voice in what comes next. You can record a location for a vehicle that you created. On the vehicle form, there is a field called location where you can put anything from an address to a simple designation. So you can enter "123 Elm St, Pittsburgh, PA 15106", or you can enter "Bat Cave" or you can enter "Bldg 3". Every event can have a location as well. This field is a true location field complete with a country. Although optional, using this field allows you to view reports in the map format, which provides an entertaining look at where things happened, or where you have been. Reports can be filtered, so you may choose to record location only for certain types of events like shows or rallies or races. Gold level customers gain the ability to create custom event types. These are separate from regular event types which are shared by all Motocron users. Custom event types are unique to you, and allow a very personalized way to sort and filter your events. For example, you may want to further divide Suspension work into "Front Suspension" and "Rear suspension", or you may want to attach your own special descriptor to certain events. It is all possible using custom event types. A specific search page for Motocron help has been created to facilitate finding what you need. It has a tag cloud, in addition to a generic search block. Motocron uses menus to organize your access to Reports, Entry screens, and Setup. Canceling an entry will usually return you to the main menu or the previous menu. The main menu and submenus have buttons at the bottom for Help and About, so you should never be more than a click or two away from more information. There are slight differences between browsers and between desktop/laptops and mobile devices. When using a conventional browser such as Chrome or Safari or Internet Explorer, there will usually be a left navigation panel visible so that you can get back to the main menu at all times. When using the Portal App on mobile devices, that navigation panel is usually not visible, so you need to rely on the application buttons and cancellation fields in order to get back to menus. There are a few places in the database where you can store images. The first place is in the vehicle record. You can upload your favorite picture to remind you of just how good that vehicle looked when you finished the restoration. The second place is with an event. You can store a picture of that piston with a hole in it, or the sunset in the hubcap, or the gang at the campsite knocking back a few beers. Motocron Images exist only to aid your memory and your documentation. There are great options out there for photo albums and blogs if you want a more social and extensive web presence. 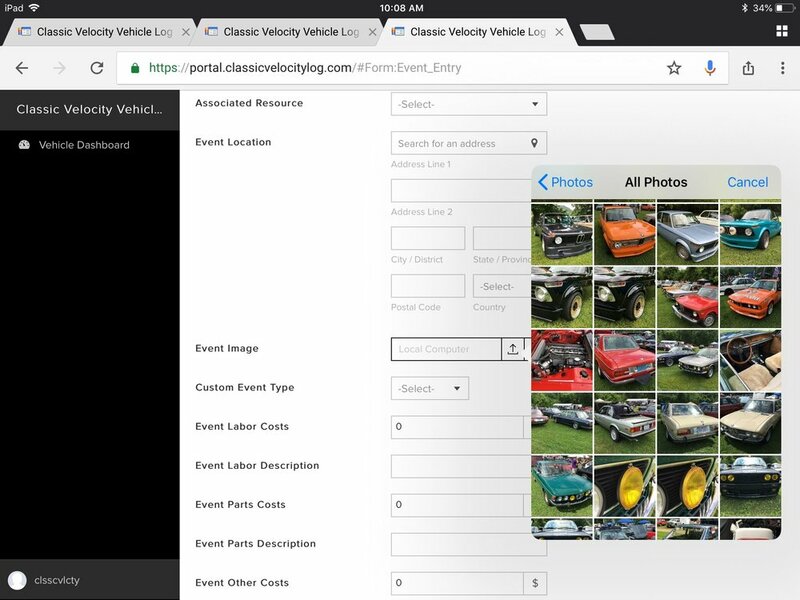 Check out the Classic Velocity Blog for an example. Reports are really powerful tools to slice and dice your data..
Motocron reports are pretty versatile. The reports menu lets you look at vehicles or events in a variety of ways, but you are not limited to just what you see. Reports can be filtered by vehicle or by date ranges, activity types, etc so you can reduce a large volume down to just what you are looking for. You can also search for a specific word, or phrase. Reports can also be viewed in a variety of formats. Try the calendar view for looking at a time period, or a more classic timeline, or perhaps a map to show where your activities have taken place. Of course, reports can be printed so that you can maintain that physical folder or hand a listing or a filtered listing to a new owner. You can also go right into viewing or editing a specific record from a report. Just click on the specific record, and you will have access to the full record for changes or review. So think of reports more like a way to slice and dice all of the information that you have entered over time. Note: Gold level members have additional reports. Your data is stored securely in the cloud on redundant world-class servers, so that it is available at all times on a variety of devices anywhere in the world. You can create an event on your phone or on a laptop, or on a desktop, and it will be available right away to all other devices. If you lose your phone, or your desktop dies, your data remains safe and secure. Gold customers also have the ability to export data. Q. Can this application be used on mobile devices ? A. Yes. The application will run on Apple IOS, Android, and Microsoft tablets, phones, and laptops. There is a mobile app for IOS and Android. It will also run in a browser on a variety of laptop and desktop devices. Of course, you are free to use a browser on any device, including tablets and phones. Our suggestion is to use the mobile App for quick and convenient entries, simple searches, and for adding images. If you are planning to do more in depth reporting searching and manipulations of data, use a laptop or desktop. One caveat when using the app is that some features may not be fully functional. This is often due to some combination of IOS or Android version, and the way your device handles the embedded browser functions. If in doubt, try acessing Motocron directly via a browser. You should have a good experience using Chrome, Safari, Internet Explorer, or Edge. The app is great for quick access to record an event, lookup information, or to show off your Stella mvehicle management with friends. However, if you really want to slice and dice your data, a browser is probably a better experience. To record the sequence of events for your vehicles. Regardless of how much time has passed, the odometer/hourmeter tells how much usage has taken place for the vehicle. To determine when scheduled maintenance may be due. You can tell when it has been 5,000 miles or 100 hours since your last oil change, or when a valve adjustment is coming due, or when a 60,000 mile service is due. To determine how much a vehicle has been used during a given time period. The Mileage-Hours report will show elapsed mileage/hours versus a baseline established for the vehicle. This is useful for your own purposes, or even for tax purposes. Consider using mileage/hours as a way to get the most out of the Motocron application. Motocron operates on a platform that uses current best practices in security. Your connection to the app uses Is encrypted via SSL, and in your data is securely stored in the cloud. In addition, while you are not typically storing super sensitive information like credit cards or date of birth, we encourage everyone to maintain a strong password, and to change it periodically, or whenever you suspect compromise. Good passwords are at least 8 characters long(longer is better), and contain a mixture of letters and numbers. Try using a phrase rather than a word. While the team at Motocron can reset your password if the login page link is not working for you, we cannot see it or tell you what it is, and we will never ask you for it. Q. How do I change or reset my password ? A. Use the link on the login page if you need to reset your password for any reason.